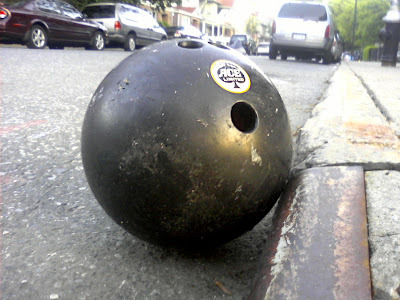 Kensington, Brooklyn: Anyone lose a bowling ball? Saw this little guy hanging out on the corner of Avenue C and East 4th. I think he was lost.